The healthcare sector has moved from using paper-based records to electronically updated and shared records. This, in turn, has increased the demand for the Internet of Things (IoT) in healthcare to enable the collection and sharing of information directly through the Internet from anywhere in the world. IoT can bring together people (patients, caregivers, and clinicians), data (patient or member data), processes (care delivery and wellness), and enablers (fitness and medical devices and mobile applications) to efficiently deliver healthcare. As a result, the scope of IoT in healthcare has widened due to the increasing use of embedded sensors, availability of fast cellular networks (LTE, 3G), and rising adoption of wirelessly attached devices. According to a recent MarketsandMarkets report, the IoT healthcare market is expected to increase from USD 41.22 billion in 2017 to USD 158.07 billion by 2022, at an astonishing compound annual growth rate (CAGR) of 30.8%. 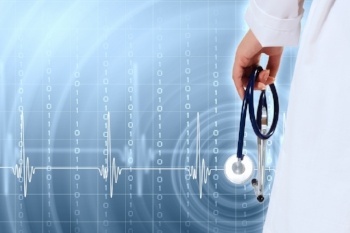 IoT is disrupting the healthcare industry with innovative and cost-saving solutions. The demand for IoT-based solutions is due to two major growth drivers. IoT solutions can help lower healthcare costs by reducing hospital readmissions, lowering medication non-adherence, and increasing wellness management using internet-connected smart devices and wearables to collect and analyze medical data. It is expected that the deployment of IoT in health care can lead to potential savings of USD 63 billion across the globe. IoT technologies also help hospitals and clinics to reduce operational costs by cutting down the cost of adding full-time employees to assist in specific departments. In addition, healthcare solution providers are taking advantage of cloud computing and virtual infrastructure, which give caregivers real-time information and offer evidence-based treatment. Healthcare organizations are using IoT tools and devices, which are revolutionizing medical care in unique ways. Connected devices that are positioned close to a patient’s body, such as glucose monitors, ECG monitors, pulse oximeters, and blood pressure monitors, have taken the healthcare industry to a new level. According to Cisco, in another six years, more than 50 billion devices will be connected to the Internet worldwide. Among these connected devices, around 30% of IoT devices will be deployed in the healthcare sector. Based upon a MarketsandMarkets analysis, three types of medical devices, namely, wearable external medical devices, implantable medical devices, and stationary medical devices will tremendously impact the healthcare industry. Among these, the wearable external medical devices segment is expected to grow at the highest pace during 2016-2021. Major players in the market include Cisco, SAP, IBM, Microsoft, Royal Philips, Qualcomm Life, and Honeywell Life Care. 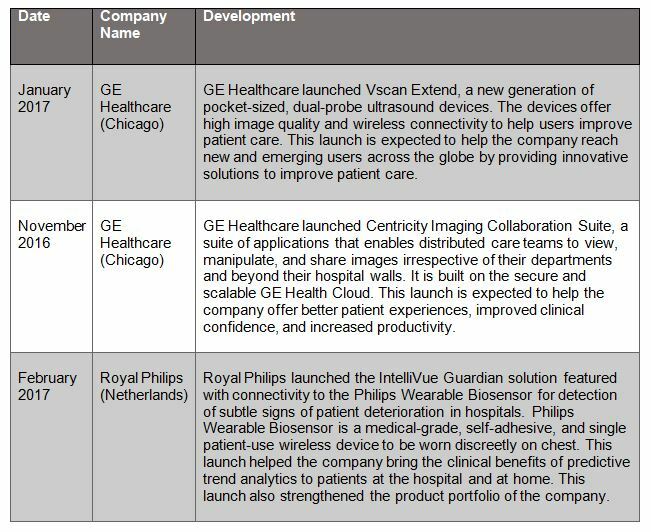 These companies are deploying new product launches to achieve growth in the IoT healthcare market. For detailed analysis with respect to market sizing, competitive scenarios, and regional trends, read the full healthcare IoT report by MarketsandMarkets. Click the button below to view the report's description and learn more. About the Author: Dhaval Kate is a Senior Analyst (ICT domain) at MarketsandMarkets.